Social Media, iOS5, and All Things Apple! 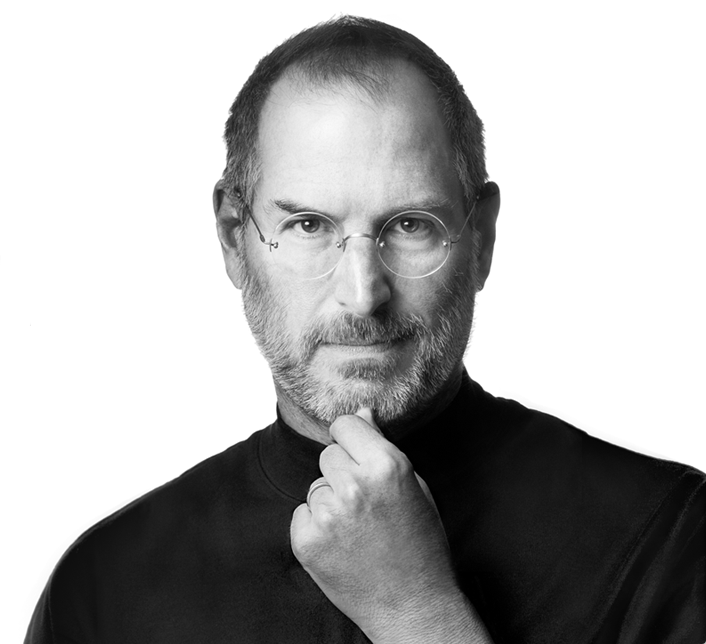 Recently, the world lost an incredible man who changed the way we live our daily lives. Whether it be the computer we use at work or at home, the phone we use to communicate and connect with people, or the movies we go to see on our days off, Steve Jobs has had something to do with all of it. I was sitting at a restaurant having dinner when I received a few text messages on my iPhone about Steve Jobs passing away. In an instant, there were tons of articles, pictures, and tributes to the American genius. Most people did not even realize how much he had to do with all of these technological advancements that we now enjoy today. He had a huge impact on the tech world and will always be known for the amazing products that he made possible for us. Thank you Steve for all of my Apple products that I love and making all of our lives enriched with great, innovative technology! Not only was the Twitter world exploding with tweets about Steve Jobs and his unfortunate death, but the iOS5 update for the iPhone was the thing to talk about. I added #iOS5 to my saved searches on Tuesday, Oct. 11 because I wanted to see when the update was released. I eagerly awaited the Oct. 12 launch of the software. There were rumors that it would be released at midnight but that was not the case. As I refreshed my tweets with the hashtag iOS5, everyone was let down that it was not there on as soon as it turned October 12th. Each minute, there were thousands of tweets about the iOS5 and there was so much anticipation about the 200+ new features that came along with it. This update is the most extensive update out of all of the operative systems that have been released since the launch of Apple’s iPhone. There were a few problems that Apple ran into, as did I, during the launch of the iOS5. When it finally arrived, there were so many people who were trying to upgrade at the same time that there were errors all over the world. Over half of the people who were trying to upgrade could not do it because of this error. Of course, I was one of the individuals who had this internal communications error and was very frustrated with this whole situation. After calling AppleCare and them telling me that I will probably have to get a new phone, I looked to my social media outlets to get some more information. On my Facebook news feed, I saw that a ton of people were having the same problem. It relieved my worry that there was nothing wrong with my specific iPhone and that it was just an overwhelming amount of people trying to get the software at the same time. I found this article that explained the whole communication problem. Although the experience was rather complicated and frustrating, considering I had been waiting at midnight for the software to launch and it didn’t release till 1pm, it was well worth the wait. One of the best features that this update includes is the integration of Twitter with the phone. This shows the worldwide importance of social media and how it is integrated into our lives every day. 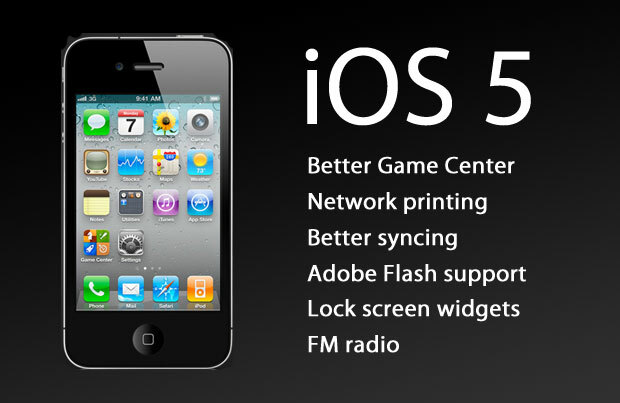 If you have not see all the iPhone features, here is a video of the new iOS5 software and what it has to offer its users. Until next time, happy tweeting, texting, and talking! 9 weeks till Christmas which means it’s consumer promotion time. The start of late fall term is always a reminder of just how close Christmas really is. So it’s time to get your shop on! This time of year there are promotions everywhere, both in-store and online ranging from deep discounts, buy one get ones (BOGO), freebies, free shipping and more. A few weeks back I was walking through the mall at lunch and stopped in my tracks at a promotion that confused me. Typically, promotions are short term techniques used to get your customers to do something with common objectives being an increase in sales, product awareness or brand loyalty. They come in various forms such as coupons, rebates, promotional pricing, samples, freebies, premiums, contests, sweepstakes, trade-ins etc and are intended to either reduce the overall cost of the product or add more benefit by giving the consumer more for their money. The promotion? 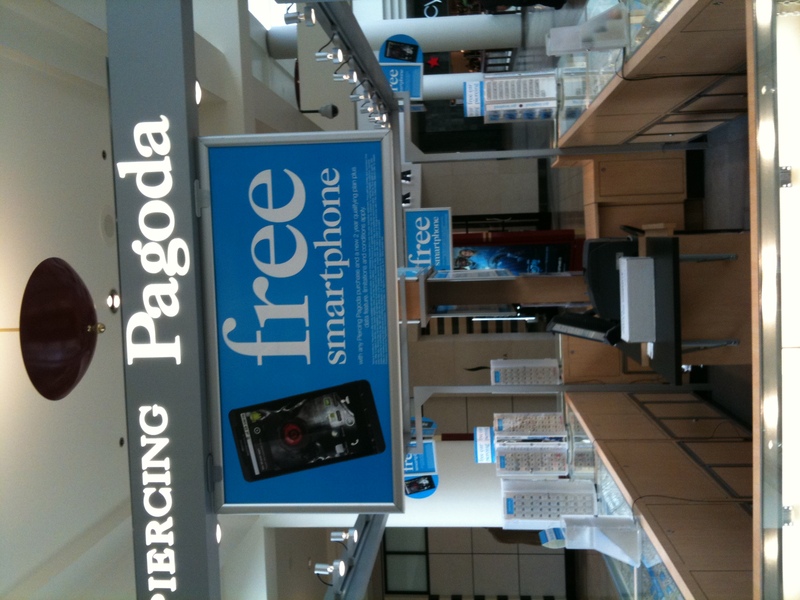 Piercing Pagoda: Free smartphone with any Piercing Pagoda purchase and a new 2 year plan with data feature. I have not yet taken the elective course on Consumer Promotions (IMC 617) so I am relying on the content covered in Direct Marketing (IMC 616), therefore I am going to ask my fellow classmates who have taken Consumer Promotions to weigh in on this one for me. For those of you who aren’t familiar, Piercing Pagoda is a jewelry boutique selling earings etc. One of the little mall shops that you can walk into and get your ears pierced on the spot. So what does this have to do with smartphones and cell phone plans? You can spend as little as $10 and get this promotion – not exactly encouraging an up-sell or requiring a particular dollar amount to launch product sales. It doesn’t encourage consumers to come back and redeem on their next purchase. In fact, the promotion has nothing to do with their product base. I assume that this falls into the premium promotional category where the free product doesn’t necessarily consist of the product the company sells, although usually there is some connection. So why choose this particular campaign? Are they making commissions on every new plan that is sold? Or is this just a great way to target their base, which is teenagers (although you have to be 18 or older to qualify cutting out a good portion of the teenage market – also a new cell phone plan with data feature would be a pricey promotional requirement – it has to be a new plan, commit to 2 years, spend anywhere from $50- $120/mo – a bit of a hefty freebie isn’t it). So what’s your thoughts on this? Doesn’t it seem that a free smartphone is a high promotional premium for a product as cheap as $10? Also, promotions tend to be short term – I saw this walking in the mall 6 weeks ago, I see it is still active on their website so not sure how long it has been running in total so far. Is it truly a promotion or a strange brand extension disguised as a promotion? Obviously we would need to know more about the objectives and the outcome of the campaign, but with what we know – I would love to hear your feedback. And, while you’re out shopping this season, if you find promotions that you thought were either great or horrible, likely to be effective or ineffective – post them here. Can you believe it’s Week 9 already? I feel like I just posted about getting back into the swing of things after a summer off. Honestly, I will be sad to see the end of Creative Strategy and Execution. It’s an interesting course which covers lots of current topics. Next week will be an exciting one for me as I’ll be starting Brand Equity Management as well as taking a short trip to New York City. I have tickets to see Regis & Kelly and a trip to NYC always gets my marketing juices flowing. Have the past 9 weeks flown by for you, too? Post what class(es) you’ll be taking in Late Fall and perhaps you’ll find a friend in your upcoming course. Hand me my glasses and affix a Kick Me sign to my back, because today I’m going to blog about…wait for it (trumpets blare)…The Library! I know, I know, but keep reading, because it’s going to be awesome and you get to meet a WVU grad who’s really nice, super smart, and knows her away around a search engine like nobody’s business. Not that I missed the endless wandering through stacks or all-nighters in the study carrels from my undergrad days, but within a few days of starting in the IMC program, a question suddenly came to mind: I’m in Seattle and WVU is in Morgantown, so how am I going to get to the library? It didn’t take long to find out that a lot has changed since the mid-1990’s in the world of collegiate libraries, just about all of it for the better. At WVU, this means that nearly any database you could find in the on-campus libraries in Morgantown is also available online to IMC students and other distance learners. And, while Google has the algorithm to find most information online, these databases have the information that most publishers don’t want to give away for free. When a Google search leads to the dreaded paywall, chances are the same article is waiting for you in the library at no extra cost — it’s included with your tuition. Summon: Sure, you can look through all of the marketing databases one-by-one, but this brand-new tool searches across all of them instantly and is dead simple to use. The links to the actual articles can be a bit buggy, but it’s a fast-as-Google way to find out what’s available on your subject du jour. LibGuides: Penny is sometimes asked to create resource pages for specific classes. The ones for Marketing and Advertising were created for undergrad classes and look handy for IMC research, too. Google Scholar (via WVU): When you access Google Scholar via the WVU Library, you’ll get direct links to any article in the search results that’s available through the library. My undergrad days were over before all of this information moved online (heck, before Google even existed), so I’ve been amazed by all that I’ve been able to find and discover online while completing my IMC coursework. ABI/INFORM and Google Scholar are my go-to starting points for research. If you’re a current student, where do you normally start your research? Prospective students, what would you like to know about the library before you start in the IMC program? I came across a survey that was published last week by Demandbase and Focus that indicated that a company’s website was the top source of all new sales leads and seven times more effective than social media. Now that statement might not seem that off to you, but taken at face value, it can cause a number of marketers to want to trash their social marketing plans or at a minimum minimize their efforts. Further more, the following quote from the survey “Social media may be heralded as the silver bullet to bring B2B marketing up to snuff but, despite its increasing influence, it’s important to keep in mind that no business sale is made without the buyer going to the corporate website first,” makes me feel like people are pitting one medium against the next. Here’s why I say that. I read a number of B2B marketing blogs and follow B2B marketers on Twitter and have seen this survey flying around with comments indicating some sort of “fight” between the web people and the social media people. I’m sitting here scratching my head thinking, aren’t we all working together here? Aren’t your plans integrated? How did those people get to your website to convert? Isn’t that part of the plan, to drive people to your website where they can convert into a sale or lead? And by the way, do you know what the purpose of using social media is for your company? That’s my biggest question as I read the comment above from the survey, mostly because I am taking Social Media and Marketing (641) this fall. It has really highlighted the number of people who don’t understand how or why they should be using social media in their marketing plans. One of the books we are reading is the Groundswell by Li and Bernoff. It really stresses the importance of understanding social media for your industry and target audience so you know how to use it effectively. Let me back up one sec by just giving you a brief definition of what the Groundswell is as coined by Li and Bernoff: A social trend in which people use technologies to get things they need from each other, rather than from traditional institutions like corporations. The very definition stresses the importance of not comparing social media to every other medium but rather figure out how to effectively integrate it into your marketing plan. People: what is your target audience ready for? How does your target audience use social media currently? Knowing this well help you determine how you may engage with your target audience based on the ways they are already active. Objectives: what are your goals for using social media? Are you intending to use it to listen, talk, energize, support or embrace your target audience? Strategy: plan for how you want relationships with your customers to change. Technologies: now that you know how your customers use social media, what your objectives and strategy are, you can choose the technologies/tools (ex. social networks, blogs, review, videos etc) that are the most appropriate. I hope these tips help as you evaluate or re-evaluate social media. And remember, don’t comparing social media against everything else. Integrate all of your efforts and measure everything! You are currently browsing the WVU IMC Blog blog archives for October, 2011.